The SJ-2B satellite launched on 19 September 1981 from the Jiuquan Satellite Launch Center in the Gobi desert by an FB-1 rocket. 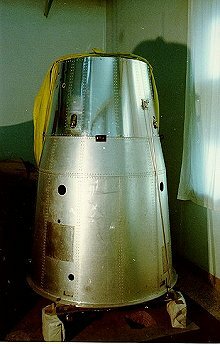 The satellite weighed 283 kg and carried two radio beacons on 40.5 MHz and 162.0 MHz.The SJ-2A satellite was probably carried inside the shell of SJ-2B. A Discoverer with the capsule off the top. FOBS (Fractional Orbit Bombardment System).